There is little question that Supreme Court Justice Antonin Scalia was murdered. 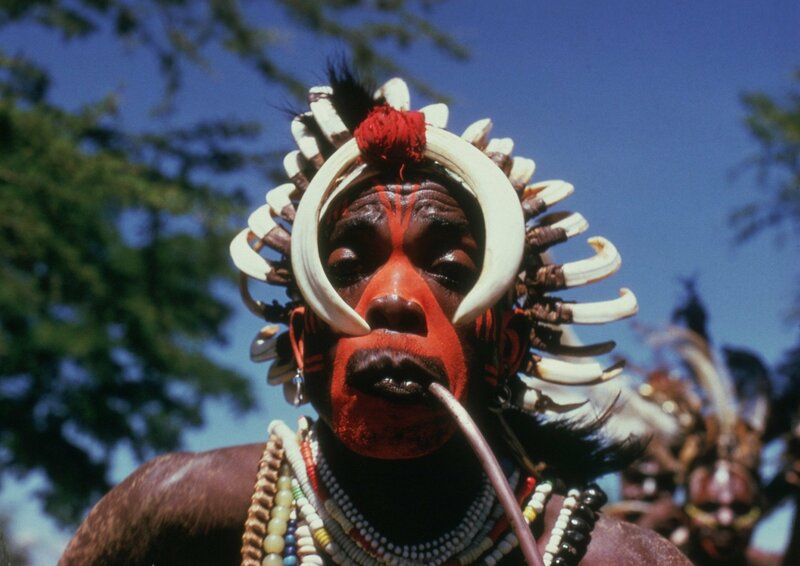 A small poison dart of the sort used by the Kenyan Luo tribe, which just happens to be the tribe of Obama’s Kenyan father, was found in the wall behind Scalia’s bed. Luo tribesmen are notoriously short-sighted, and the assassin obviously missed. It seems that the thud of the dart hitting the wall woke Scalia up, and seeing the elaborately painted face of the Luo assassin standing there with his blowgun and looking chagrinned about missing, he screamed. Scalia’s terrified scream gave the short-sighted tribesman a second chance. The second dart, aimed directly at the source of the scream, hit Scalia in the throat, cutting his scream short and killing him instantly. The cover up is already under way. Both darts have mysteriously disappeared, and no autopsy was performed. Texas millionaire John Poindexter had invited Scalia to his remote ranch near the Mexican border with about 35 other guests—Hollywood types—for a weekend of quail hunting. Poindexter said that when Scalia didn’t appear for breakfast, he become alarmed and went to Scalia’s room. Odd that he became “alarmed.” After all, a hard-working Supreme Court Justice has a right to sleep in. Poindexter claims he found Scalia “in perfect repose in his bed as if he was taking a nap. His face wasn’t contorted or anything.” The idea that a 79 –year-old Italian-American man, especially one of Sicilian origin, can wake up, see a scary-looking Luo tribesman, get hit in the throat with a poison dart, and not have a contorted face is a obviously a fantasy concocted by somebody who hasn’t known a lot of Italian men. Scalia’s eyes must have been the size of espresso cup saucers before somebody closed them to make it look as though he had just been taking a nap. So why did Poindexter lure the unsuspecting Scalia to a remote ranch precisely “near the Mexican border,” a border with no wall and inadequately patrolled by over-worked border guards? What a perfect place for a Luo tribesman, disguised perhaps as a Mayan woman, to cross over undetected. And what about those Hollywood types who just happened to be invited to the same party? People in the film industry are known for their left-wing politics. It so happens that the film “No Country for Old Men” was shot in the remote desert where the ranch sits. Could it be that the film was a dry run and the title a code name? True, there were no Luo tribesmen in the film, but conspirators clever enough to dispose of the poison darts, would be clever enough not to tip their hand in such an obvious way, wouldn’t they? Getting to the bottom of Scalia’s assassination will have to wait until a Republican—and not just any Republican—is in the White House. If the photo resembles Obama’s Kenyan connection, one can only imagine what Ted Cruz’s Canadian connection would look like.